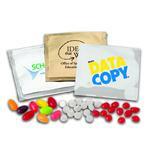 Custom Mentos - new to Adco Marketing. 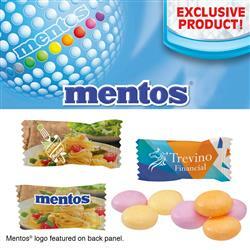 Make a sweet impression with these individually wrapped famous assorted fruit Mentos ® fresh maker mints. 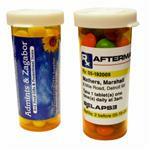 Choose from a variety of wrapper and ink colors. 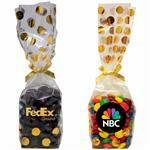 Great assorted fruit pillow mints for trade shows. Assorted fruit flavors are Lemon, Strawberry, and Orange. Flavors cannot be separated. Production Times Available: Standard 5- 7 Day Production with Paper Proof. Choose from a variety of wrapper and ink colors. 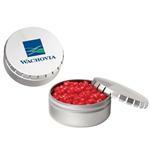 Great assorted fruit pillow mints for trade shows. Must order in case quantities of 2,000.